This week…Lucy Tobin, journalist and blogger at RUNOUTOFWOMB.COM, and mother of one. 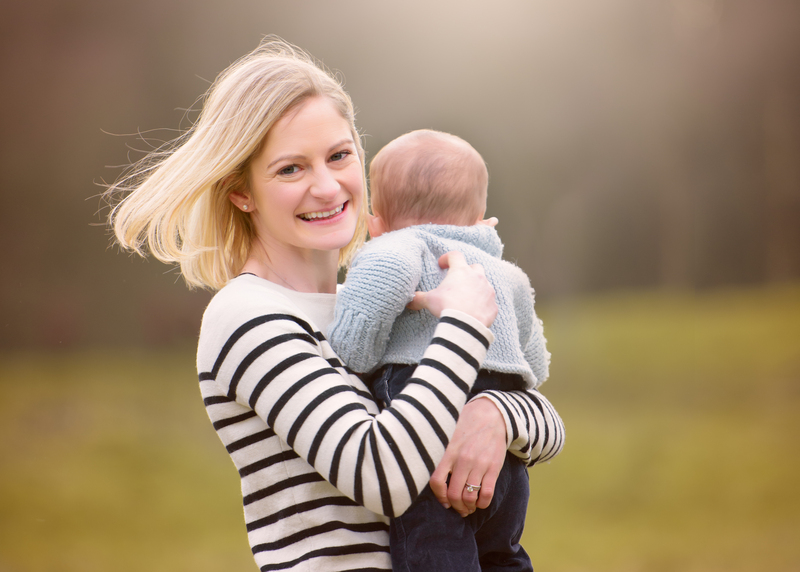 Lucy Tobin is a journalist at the Evening Standard and author of six books, ranging from a guide to uni life to a wedding guide for the DIY bride – and mama to a nearly-year-old baby boy. Her blog RunOutOfWomb.com was conceived (pun oh-so-intentional..!) because she wanted to add a dash of humour to the whole parenting thing – plus some really useful, practical lists like 27 great baby snacks because she loves lists. My little Munchkin is… My Tiny Man, who is one next week and I can’t believe that’s happened so fast! I keep his name off the blog in case he hates it in the future and refuses to visit me in my retirement home..
No-one ever tells you that… Babies are hilarious. Tiny Man makes me laugh out loud all the time – especially when I hide under his high chair whilst he’s in it and he giggles, and giggles, and giggles, and it’s the best sound in the world. Birth was… In the hospital’s natural birthing suite with no drugs, bar gas and air – not because I’m brave, but because gas and air is the Best. Thing. Ever.. I was off my head. Seriously, though I’m not sure I’m qualified to say as I think I was hypnotised soon after: in the immediate aftermath (possibly during the midwife’s, uh, tapestry session) I clearly remember wondering out loud how the world’s population is so big. Now? I reckon it was easy peasy! I couldn’t have survived the first three months without… Expressing machine! Because it meant I could give my husband a bottle for the 11pm feed, go to bed at 9pm and sleep straight for four hours. OK, so my husband was pretty useful too.. It used to drive me mad when people said… “Is he good?” SO mad I wrote a whole post on this! The best present anyone gave me was… Sheepskin for the buggy – so useful and cosy. The most important that I’ve learnt is… Nothing in the world is better than tiny man’s smiling face, or the smell of his head, or his sweet breath when he’s sleeping. I worry about… Everything! And tell myself to step away from Dr Google.. I wish… I could cut myself in half so one of me could spend all my time with tiny man and the other one could return to work, which I also love. I want my children to know that… We’re doing our best!